A sizable military-style backpack that comfortably carries hiking, outdoors, school, and everyday gear, the SOG Opord Daypack features a variety of organization options, MOLLE webbing, and hydration pack access. 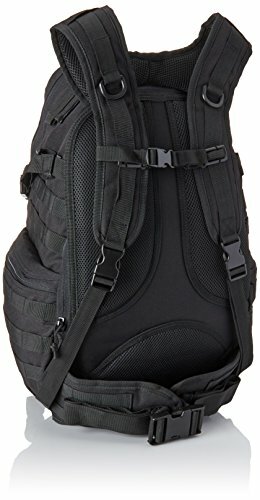 This 39.1-liter tactical backpack features a large main compartment, front accessory pocket with organizer, two zippered size accessory pockets, a compressible stash pocket for smaller items. You'll be able to quench your thirst wherever you roam with a hydration bladder pocket featuring a left and right tubing ports for easy access to H2O (hydration reservoir sold separately; fits up to 2-liter bladder). 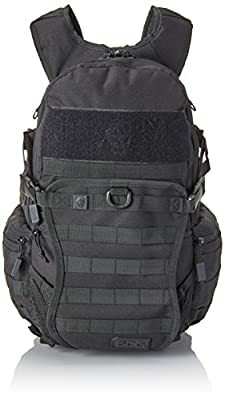 When you need to carry more gear, the Opord Daypack has you covered with side compression straps, D-ring attachments on the shoulder straps, and heavy-duty MOLLE webbing for attaching a variety of optional pouches, accessories, and modular tactical gear. 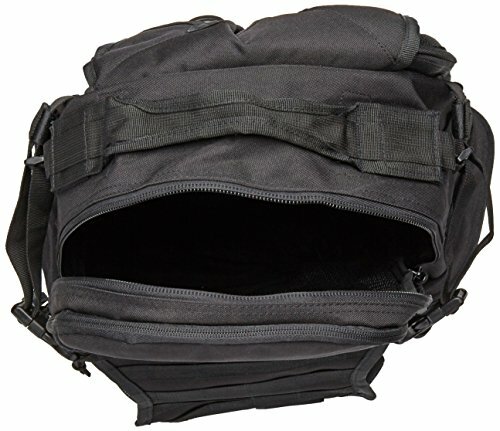 The Opord Daypack sits comfortably on your shoulders thanks to the yoke-style adjustable, padded shoulder straps, which feature an adjustable sternum slider for added security and comfort. It also includes a padded waist belt that's great for transferring heavy loads off of your back. The breathable padded mesh back keeps you comfortable over long hauls. Other features include durable water repellent construction, a hook-and-loop patch on the front for added customization, top carry handle, durable plastic buckles and zippers, and dual bottom grommet drainage holes to help keep water from pooling around your gear. This product is backed by a manufacturer's lifetime warranty against defects in materials and workmanship (applies when product has been used for the purpose intended and under normal conditions).